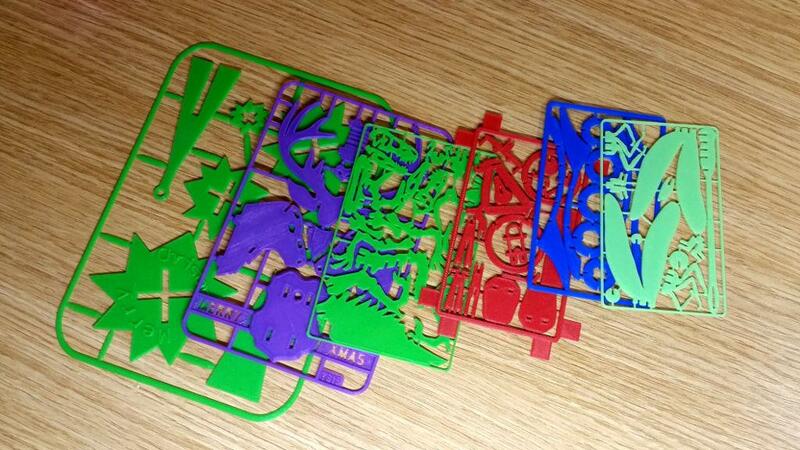 3D Printed Business Card Models - Have Fun to Print, Assemble, Create! They are easy to print and require so little filament, that even a sample is enough for several prints. 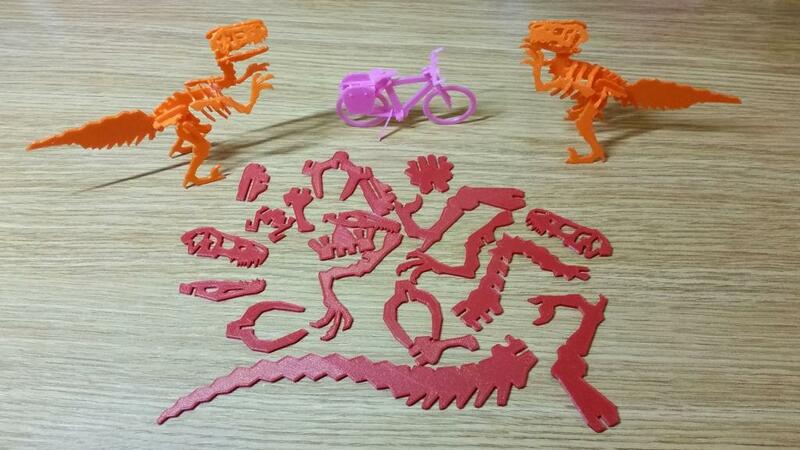 We managed to print 3 velociraptor card models from a filament sample that came together with a 3D pen we bought. The same story with the leftovers. 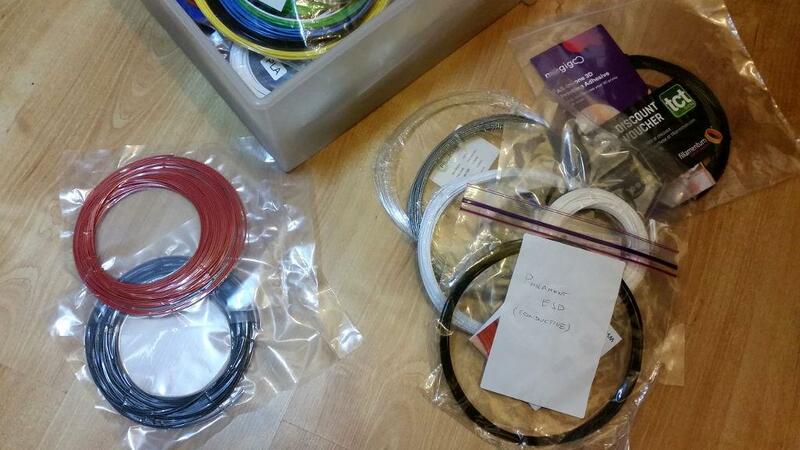 Another good point is that in most cases, depending on your printer, those filament bits don’t need to be on spools. They are light and can be placed on your printer frame or a spool holder. We demonstrated this in our video. Some models are harder to put together, but don’t be put off as most of them come with instructions. Smaller models with a great number of parts are more fragile. Tiny components can be easily broken or even lost while being detached from the card frame. Maybe it is a good idea to scale a model, making it larger and easier to handle. Please mind that all 3 vectors have to be scaled to keep the correct proportions. In the picture below, a business card velociraptor model is shown together with its scaled remix, both can be found on Thingiverse. A Touring Bike is one of the best models. It comes with the detailed instructions. Its designer CyberCyclist has added STL files with extra corner extensions to make the model stick better to the printing bed. This helps to avoid warping while printing thin objects with sharp corners. There is also a themed remix by the same designer that can be used as a Christmas tree ornament. Although “business card models” are fun to play around with, please beware that small bits can pose a choking hazard to little children. Also, some models are fragile and don’t hold together very well. Please watch the video below to see how the card models work. Card models is a great idea! We will definitely come back to it in future.